Scroll to the bottom for contest winners. 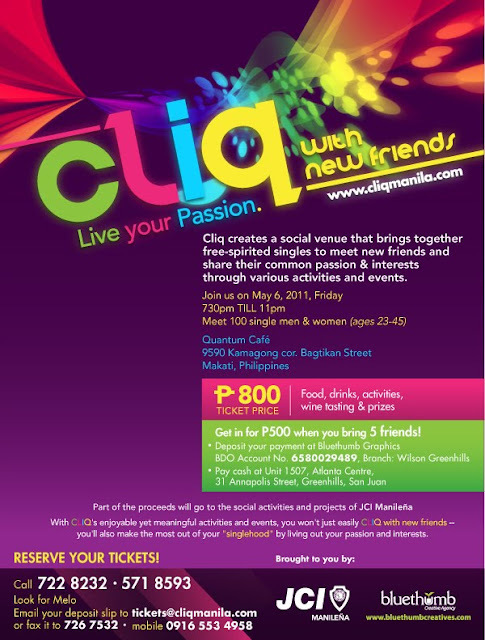 Join CliqManila.com's "Live Your Passion: Cliq with New Friends" event on May 6, Friday, 7:30PM to 11PM. Meet 100 single men and women aged 23-45. "It's a social venue that brings together free-spirited singles to meet new friends and share their common passion and interests through various activities and events." And now, about the contest. If you are single, get a chance to join this event for free. Ten Minutes Tops! and ClubTravelNOW.org is giving away free tickets for one single female and one single male. 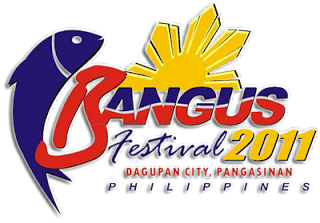 Each ticket is worth P800. Share common passions and interests, meet singles and make new friends in CliqManila.com's "Live Your Passion: Cliq with New Friends" event, with @tenminutestops and @clubtravelnow. 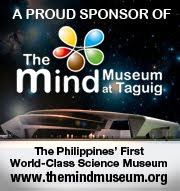 It's on May 6, Friday, 7:30PM at Quantum Cafe, Makati. For more details, visit http://tinyurl.com/singlehood. See you! This contest runs only for 8 days, from April 25 to May 3, 6PM. Winner will be chosen using random.org and will be announced by 10AM on May 4. Winners will be announced on this blog, and on the Ten Minutes, Tops! and ClubTravelNOW.org fan pages. Prize must be claimed on the event itself.